Red Star’s team was always based on its youth set up. 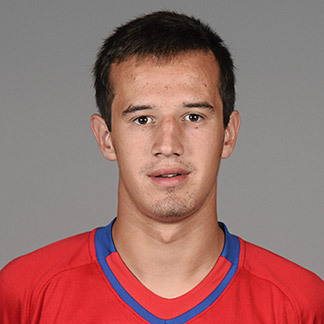 One of the best players stemming from its youth academy is Vukasin Jovanovic. He was picked for the first team at Red Star in March 2014, mainly due to injuries and poor form of other defenders. He played at the UEFA European Under-19 Championship 2014 and was given good ratings. Soon after his return from the tournament, he got a chance to make his debut in “Crveno-beli” – on August 19th 2014 in a league fixture against Radnicki Nis he replaced Darko Lazic in the 90th minute. He signed a new contract with Red Star just a few days later, which will keep him at the club until the end of 2018.